ELBSEGELEI offers guided, individual and exclusive full-day, half-day and sunset voyages on the Elbe in Hamburg. A sailing experience for between two and nine fellow sailors (closed groups of up to 11 people), who want to experience exciting moments on Germany's most beautiful, challenging and diverse river. Ourprofessional skippers will take you along on a genuine sailing voyage aboard a modern 13-metre sailing yacht (42"). 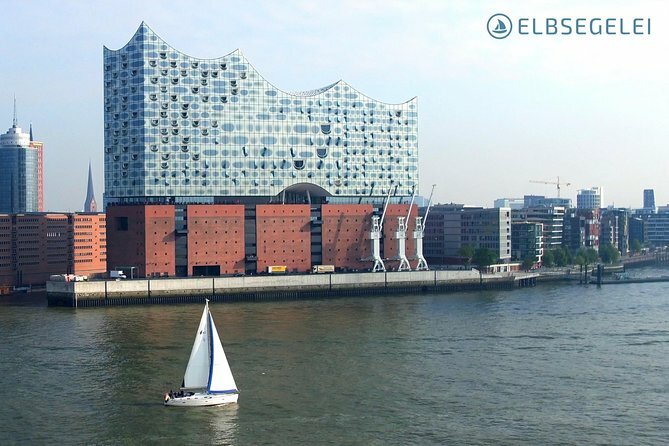 With us, you can experience the Elbe up close in true maritime, sporting style! You can be as active or as passive as you like. A truly Hanseatic experience, which has previously only been available to the owners of yachts on the Elbe in Hamburg! Since we plan our sailing trips according to the tides (high and low tide), our starting times move daily by approx. 50 minutes! Sailing over the borders of the harbor to Wedel and back again. We sail along and "around"
Since we plan our sailing trips according to the tides (high and low tide), our starting times move daily by approx. 50 minutes!